"I am committed to providing the finest real estate service to my clients and doing so with integrity, dedication, responsiveness, passion, knowledge and much more"
Dedication: Strive to exceed the expectations with hard work and by anticipating, understanding and responding appropriately to their needs. Passion: To be positive, enthusiastic, and have a vibrant spirit. Knowledge: Equip with tools for high-level marketing, technology, and all information needed to set up the client for success. Professionalism: To handle every transaction at the highest level, leveraging technology, new ideas. Streamlining the process of any transaction. Integrity: Do the right thing, to be fair, and ethical. As a Real Estate Consultant, will work hard and dedicate myself to making sure the process of buying or selling real estate can be smooth as possible. To do so with honesty and integrity. To be a win-win proposition. He has been in the Real Estate business for over 15 years. Starting his real estate experience as an internet marketing consultant for top agents and brokers from 2001-2006. Brought his tech and internet marketing knowledge to his business and leveraging it into a successful real estate career. He is honored to serve on the Agent Leadership Council and is the Technology Chair for Keller Williams Realty Corona. Father of 3 girls and husband to his Home School Wife of 13 years. To top it off, he is an accomplished drummer/percussionist for over 20 years playing for Orchestras, Steel Drum bands, Drumlines, Top 40, Cover Bands, Hand Percussion Groups, Jazz Ensembles, various artists, and various churches. Jeff is a proactive buyer's agent, not only do you receive listings that fit your criteria via email, he will also preview homes on your behalf to make sure that indeed it's a fit! Saves you time by not having to look at many many homes. It simplifies the search process. Call to learn more about how he can save you $$ with your home purchase through strong negotiations that Jeff brings to the table. When it's time to move, you need someone who will market your home effectively. With his 15 point plan, not only will home be marketed through conventional means, will make sure gets the maximum exposure via social media platforms, including a video and photos done professionally. Often times buyers don't visualize living in your home the way you do. We can make your home attractive to its ideal audience - which can help you get top dollar. Things, like staging the home, making repairs or minor improvements, or even simply painting the walls, can be the difference between a home resting on the market and one that's sold fast. Call to learn more about Jeff's 15 Point Plan. "Jeff is an absolute joy to work with. He found the right home for us in just a matter of days. I think the whole process only took us 5 weeks to find buy and move in. So if you want an honest and hardworking person on your side you need Jeff Menendez"
"Our experience with Jeff was nothing less than awesome. This guy knows his stuff and is very responsive. He had intelligent answers for all of our questions, and had a great strategy when it came time to place an offer. He made us feel comfortable throughout the entire purchase process; from when we started looking for houses, to the final step - the "cheesy family pic in front of the house" after closing escrow." "Jeff was referred to me by a life long friend. He was knowledgeable of the area I was looking in and showed me several homes never once making me feel impulsive to buy just to buy. He made it a very smooth process always letting me know what the next step would be. I definitely will refer him to friends and family who are looking to buy a home." "Jeff has very positive and enthusiastic attitude in helping out find our new house. He is always available whenever we wanted to see a house. He is always on time on our appointments. He is very knowledgeable about the real estate industry since he can always answer our questions and do recommendations. As a final note, he is sensible and reliable as a real estate agent. He is highly recommended and I can use his services again." "Jeff and his team provided service beyond expectation. I would recommend him to anyone looking for a home!" "Jeff proved to be a valuable resource and helped me with my real estate needs during a very difficult and stressful time. Through his hard work and diligence, he successfully came though for us. He is a very positive and energetic person and is a man of integrity, strong character and someone that doesn't compromise his principles. Jeff is a great guy!" 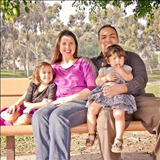 "“We highly recommend Jeff Menendez as an excellent realtor for both the Riverside / Corona area. We found him to be extremely knowledgeable, pleasant, energetic, and flexible in working around our busy schedules. He kept in nearly constant communication with both of us and very willingly expanded our search to other areas of interest. We couldn't be happier in our new home on a mountaintop in Moreno Valley!!! Thank you, JEFF!!" "Buying a home is never easy but Jeff went above and beyond his call of duty to make the process as smooth and professional as possible. He was very patient, upfront, honest, and knowledgeable each step of the way with me. All the questions I asked I could tell was answered with knowledge and integrity. I would highly recommend him because I know he will work as hard for you as he did for me! Thank you for everything Jeff!" "Jeff Menendez really did an excellent job with helping us find exactly the home we were looking for. He was very patient, understanding, and supportable with us in our search. He was not only just knowledgeable of the market, but he was able to guide us to a community that fit the needs and desires of our household. He went above and beyond with handling the paperwork, contacting offices, and ensuring everything was correct. We really recommend Jeff and a great agent and someone who will get the job done the right way."